A “Win-Win” For Believers!. Walk walk walk walk in the light. Do Children Make You Unhappy? This morning I saw a teaser/headline about a study that said:”Having kids makes people unhappy”. Between making lunch and a phone call, I was unable to follow the story, but the headline kinda stuck in my head. Moments later, my 8 year old niece who lives overseas called me. We talk daily and nightly. Some sessions are hilarious, some sessions are stressful I admit. This morning while I was talking to her and watching her on cam while dinner is on-going I witnessed what could be a story line for a reality show or a cartoon maybe. A rather interesting dynamic between her, her brother of 6 years and my sister. My niece doesn’t eat most vegetables and tonight’s menu included string beans. I’m telling you it was a good mix of funny, stressful and frustrating, crying, giggles and a lot of threatening haha. Giggles from the brother, threatening from me, frustration for my sister and crying for the little girl. Dinner ended and no child was harmed in the process, thankfully. Lol. Everyone was calm and my sister and I started assigning tasks to the kids. “Okay, girl sweep the floor and wipe the table.” The little boy volunteered to do the sweeping and the night ended with “I love yous”, “I am proud of you”. Pat each other in the back, goodnight. Children are gifts and a blessing from the Lord. NO matter how tiring and frustrating and everything else in between, that is the fact the Lord reiterated in me. A baby is a joy. It is one of life’s amazing experience-giving birth to another human being. Children are a heritage from the Lord. Inheritance are worth a fortune, they are valuable. They are gems equivalent to precious stones. True, raising kids entail A LOT! You devote your life and time raising, providing and caring for them. That is parenthood. The responsibility is great but the stress and challenges that come with it should not cloud our judgment and take away the joy from these wonderful, valuable gifts. Having kids is not just one task on our to-do list. It is a career, it is a lifestyle. We are not equipped with all the necessary skills and that is why we NEED TO PRAY for strength and wisdom and lift the kids to the Lord for protection and guidance. Don’t be lazy to train your kids, they will thank you for it later. Don’t just be a friend to your kids, be the disciplinarian and be the adult. Stand your ground, be firm but loving. Spoiling them is not gonna be beneficial. Teach them fortitude and make them work for what they need. Make them work harder for what they want. Teach them to listen to you, but be the voice of reason and truth. Pray for them ALL the time. Cry out to God for wisdom and strength. My nephews and nieces give me joy and stress sometimes lol. I may not have children but I started caring for my siblings at age 5. I grew up learning how to care for another human being early in life. I spent most of my life helping raise my nephews and nieces. It was not easy but it wasn’t that hard either. Our Heavenly Father is our anchor and the source of all strength, wisdom and understanding. It is always rewarding to hear them pray and interact with the Lord. They get the blessing, God gets the glory. When you think you are helpless and at your wits end and unhappy, you should try God and the bible sometimes. What have you got to lose? My trip to California was sweet. I was able to re-connect with old friends from church and my best friend. My first day, my friends and I met in San Francisco and instead of going straight home they took me to Moraga and 16th. 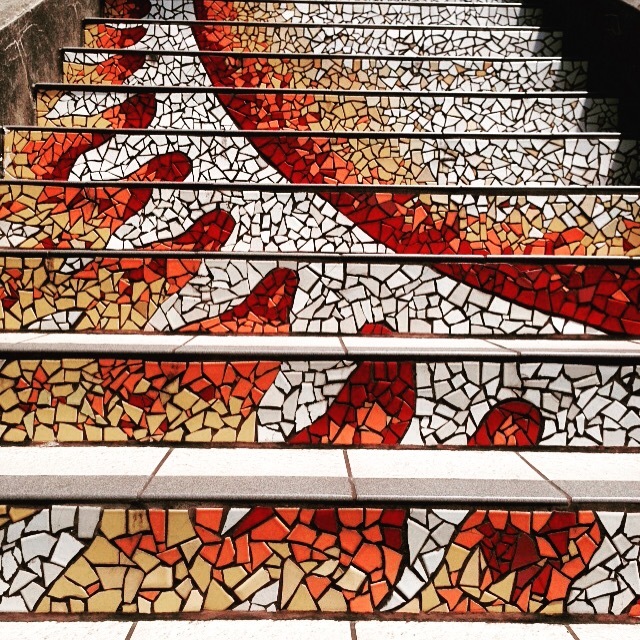 I worked in Sanfo for 3.5 years and I never once heard of the mosaic stairs. The artisan project was a beauty in itself with succulents all around. 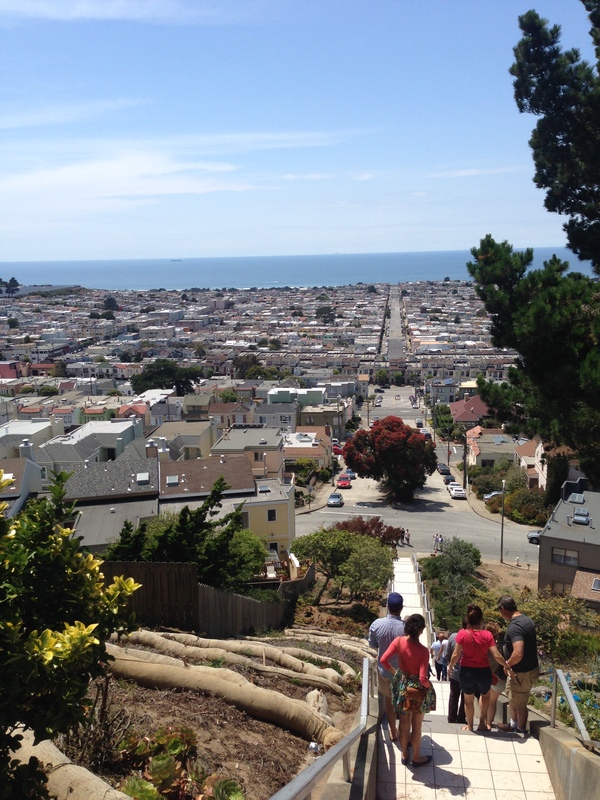 But getting to the top to see a breath taking view of San Francisco was worth the climb. It was only 163 steps, but for someone who hates stairs it might as well be 1,163 steps! Did I mention it was free? There are “hidden”treasures right under our noses. Sometimes our appetite for everything grandeur overlooks simple beauties. The best things in life sometimes are free. Not everything expensive is the best, that is a fallacy. We look hard and go extreme to experience wonders and sights, but there is beauty in simplicity. Re-discover and explore, for you might find gemstones hidden in plain sight. Let me end by saying that in our spiritual life, we are bound to re-discover “hidden” treasures and wonders. Re-discover your first love and re-kindle the fire the first time you fell in love with Jesus. God’s wonders never go stale. His mercies and love are always free, always fresh. Go ahead, re-discover. Be amazed and be refreshed. Gay Christianity refuted by Dr. James White. As more and more books are hitting the market promoting the idea that God permits homosexual relationship, the more urgent it is for Christians to know how to respond. 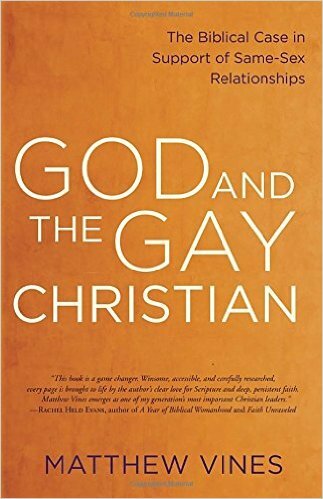 Among the popular books promoting the idea of the gay Christian is Matthew Vines’ book “God and the Gay Christian.” James White has refuted this book in the following audio on Youtube. Dr. White spends over 5 hours total to refuting Vines! When faced with trouble, how many of us drop on our knees and inquire of the Lord instead of acting on impulse? How many of us turn to friends first or drugs or alcohol before turning to God first? How many times have we exhausted everything in our might only to turn to God as a last ditch effort? God is no second best, not third nor last. He is our first line of defense in battling life’s circumstance. The God we serve is not just the God of good times, He is most of all the God of bad times. When fear and doubt hit us, we hit the prayer closet and inquire of the Lord. Sadly, it is not how it is with most people. Even believers sometimes fall for the enemy’s trick that God doesn’t care about our troubles. The lies Satan perpetuates may seem legitimate at the time and we accept it because our human nature is to throw a pity party with whines. The intoxication makes us doubt our Father’s power and love and we stay hungover with bitterness and fear. We can learn from the biblical saints who displayed wisdom by trusting in the Lord, seeking Him first, trusting and waiting expectantly. 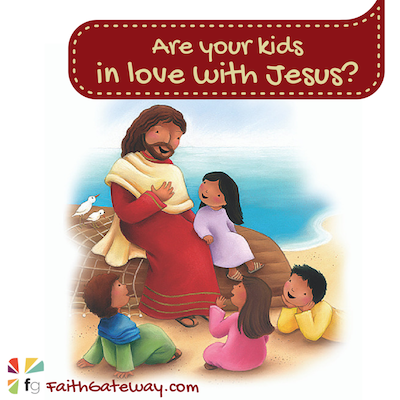 Our Heavenly Father is madly, deeply in love with us and is always available to save us from our woes. when they are in trouble, I will be with them. Whatever your circumstance today, I pray that this song will minister to you as it did to me this morning. God is bigger than our problems and He is able to provide and get us through on a daily basis. Stephen had a face of an angel. He was wise and very articulate. Yet, he died a senseless death (not in the eyes of God though) for offending the Sanhedrin, for telling the truth. Oh well, no one wants to be told how to live their lives and be reminded of their mistakes, right? Instead of accepting the truth, they acted like bratty kids (Acts 6:57), and mind you they were supposed to be learned council members who constituted the supreme court and legislative body. They were mean, arrogant and full of pride. Not wanting to accept the fact that a lowly disciple could be so brazen as to speak in front of them and claim authority in Jesus, they stoned Stephen to death. Stephens still exist today. Sanhedrin still exists today. A different version from that of the bible’s but the oppression and persecution is amplified just the same. Christians speaking of truth and preaching in the name of Jesus, standing by what they believe is right, holy and moral, get stoned. Sadly, Christianity is unpopular, sometimes even to the Christians themselves. Playing it safe and sugar coating it is the way to escape persecution and belittlement. Those who stand firm are labeled, harassed and stoned. The hostility of those who oppose Christianity now is as great as the Sanhedrin’s hostility in Judea and the reasons haven’t really changed since then: Hatred of Jesus, entitlement, pride, arrogance, disobedience, sin. Are we able to pull a Stephen act? Are we really able to speak the truth in the midst of popular, desensitized culture? Are we able to say to those who oppose, persecute and spit on us “Lord, do not hold this sin against them.” Can we really find it in our hearts to speak gently and lovingly to those who hate us? Forgive and remember them at the throne? What would you do when a stoner threw a stone at you?